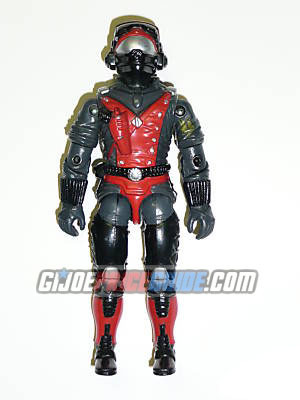 NOTES: Strato-Viper was the pilot of the Cobra Night Raven. The only real issue for this figure is his silver helmet paint. He should not be hard to find as he was available from Habsro through the mail several times. 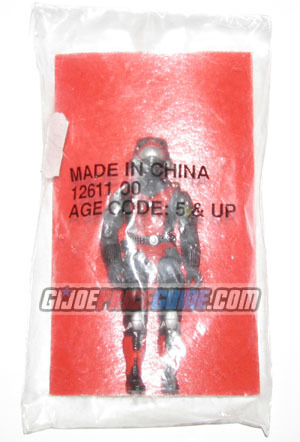 See the factory sealed Strato-Viper below in his mail order bag with red-backed file card.